The situation in Ukraine among the main topics was discussed during the visit of Donald Trump to France for talks with Emmanuel Macron. 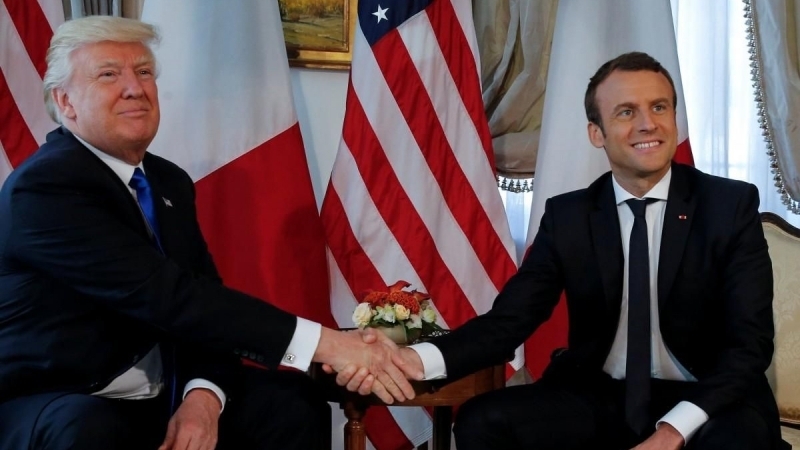 The situation in Ukraine was one of the main topics during the meeting between the Presidents of the United States and France Donald Trump and Emmanuel Macron in Paris. "We did discuss many things today, including the ceasefire in Syria. We discussed the Ukraine. We discussed a lot of different topics," the Head of the White House said. 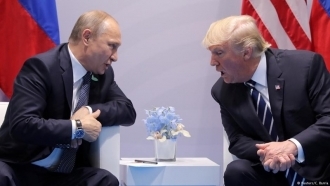 On July 13, during a joint press conference, Trump said that the parties agreed to work in close cooperation to stop the six-year war in Syria, as well as to defeat the Islamic state militants, whom he called "the enemies of mankind." Emmanuel Macron, in turn, noted that the parties agreed to work "on the road maps for the postwar period for Iraq and Syria." Note that Donald Trump and his wife arrived in Paris to celebrate the "Day of the Bastille," as well as the 100th anniversary of the United States joining the First World War. Prior to that, both presidents met at the G-20 summit in Germany. Earlier, QHA reported that during his visit to France on June 26, President of Ukraine Petro Poroshenko presented President Emmanuel Macron with a picture of Ukrainian political prisoner Roman Sushchenko, who previously worked as a special correspondent in France.